This is the latest, just announced today, new beaut Nikon. It is basically an improved D3 with video mode. Ok it isn’t 1080p like the Canon 5D2 but these days in the world of youtube and vimeo, do we really need it?? The iso has now at a staggering 102,400, holly crap, that is for photographing inside of the womb!!! Team Digital will be getting us one of these to try out in November so keep an eye on this space. 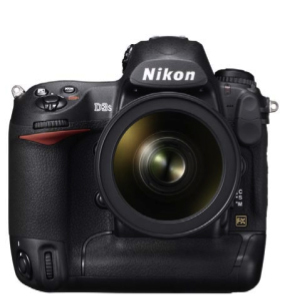 We are also getting a 7D in the next couple of weeks to try out the video and stills and compare to the 5D2. Will post more info soon but get over to see Benny at Team Digital for more details. Below is the press release, check it out and make up your mind if it is for you. to each image’s EXIF data” – I hate the fudges you appear to have to do with the 5D MK II to add GPS data, it shouldn’t be that hard. Wonder what the price point is? Thanks for the info, Christian. ISO at 102,000 might be like 23000 on the mk2, almost unusable. At approx AU $7000 and 12mp it won’t be for everyone. It’s not always about mp Merv, it is also the quality of those pixels. Now think about night video work with this camera. The 5D2 is ok at night but doesn’t handle noise like the D3. This could mean some pretty stunning video. Ok not 1080p but you don’t need it for publishing on Vimeo or youtube. I’m excited. Hey it’ll sell alright but I’m not as excited as you. It would seem the ISO race has clearly begun. Nikon leading by a head. 1DMk4 yet to start. Yep I could do with a bit more low noise ISO too! Looking forward to your 7D review. Who needs high iso performance anyway? its killing night photography! you can save $2000 bucks get twice the res and better video with a 5d mk 2 or even a 7d!! BTW ill also be trying the 7d in the next few days. ill get some sample stuff up soon. Time i got some blog hits eh CF? Yep the mk 4 will be out later this month if you go by the canon rumours site. Stakky, Stakky, Stakky, imagine hand holding night stuff, that would be cool. Don’t forget every video Michael has on Vimeo wouldn’t look any different in SD. The ultimate test will be in November when we get our hands on this beast to try out. still think its a bad concept completely downgrading a new camera for one feature… i doubt it will survive the competition with canon. To some pros it may be priceless, but 3/4 of the dslr market has no care for iso performance. Was that the hot Nikon news, that you were talking a while ago about, that might make some Canon gear go cheap? What have they downgraded Stakky?? They have specked up the D3 haven’t they? Colonel this wasn’t even on the list I saw. The hot news is still yet to come!! I hope !!! new 1d should be out soonish, will be interesting to see what Canon Pulls out. this looks like a wicked camera!!! still thinking about crossing over to nikon CF??…. you never know Clint if the camera is good and I can afford it maybe. I would like to go medium format digital so ask me about Phase One! I hope it drops the price on the D3……. could say some interesting stuff bout the 1d mk4 (possibly being announced on teh 30th). Fletch you win, seems the ol d3 has 12 MP as well. Still a bit stingy though!! the d3 is more a Sports/Nature Camera with its fast fps etc, its marketed against the 1d not the 1ds, Stakky the rumour is for Canon releasing on the 20th oct 🙂 day before my bday heh hope they finally release it. Hey guys, I know this is a hot topic… but if you want proof of how good the new Nikon is, check this out…. wholy moly! Waiting to see you get a tat of your new printer Christian!!! Drool drool, Hmm this would make a nice christmas gift! Although my D3 is doing a great job, and i don’t think anyone loves me THAT much to buy me one! Brent notice he had the tat drawn with the camera in program mode. He probably ain’t much of a shooter!! The tattoo of my printer has started. working from the toes up! !